My entry for the weekly photo challenge is based around the most foreign experience that I have ever been a part of. This is a very steep hill to climb for me because I have been through 11 countries in the past 8 months alone, spanning from Mexico down through parts of South America. For the weekly photo challenge “foreign” I chose to highlight a recent experience that occurred while traveling through Ecuador. Nestled in a volcanic mountain range in northern Ecuador is a small city called Otavalo. 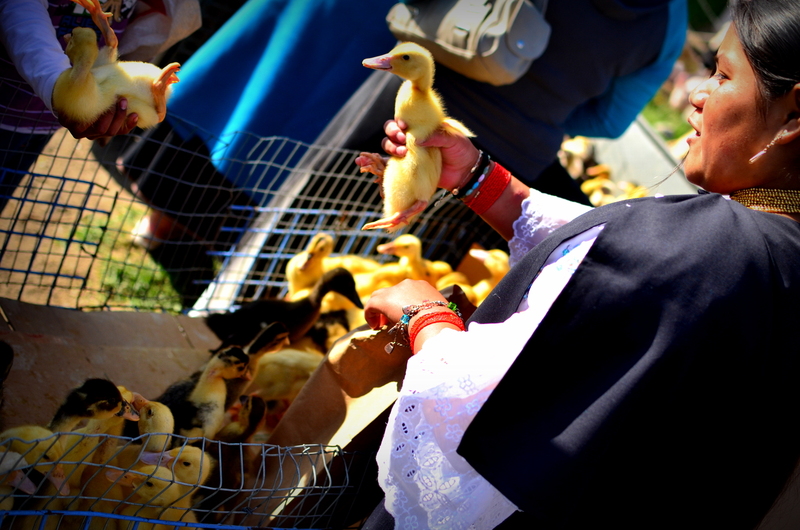 This city lies within Ecuador’s self proclaimed intercultural capital and is home to a large population of indigenous men and women whose claim to fame is their large Saturday market (even though the market is operating just about every day). Artisan crafts of all shapes, colors, and sizes are sold at bargain prices. At the end of every day every vendor loads insanely large bags of their clothes, blankets, jewelry, and goods and have younger men bear the brunt of the load back to their homes. 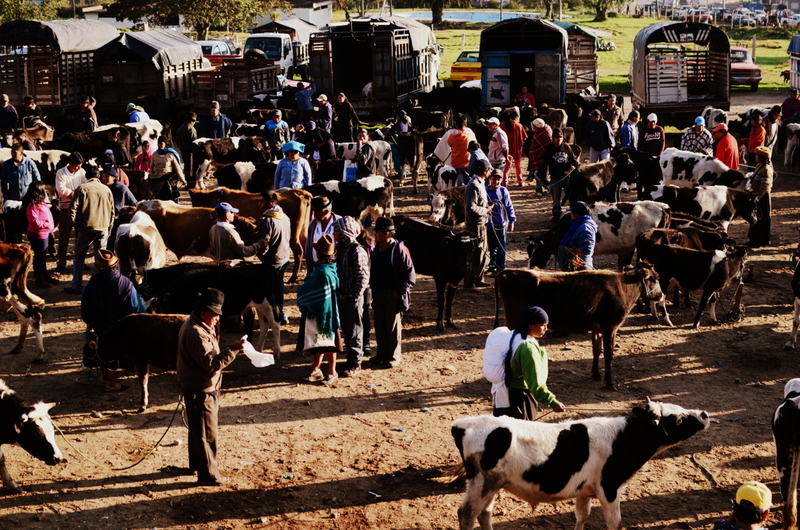 The most interesting part of the daily life of Otavalenos had to be the live animal market. 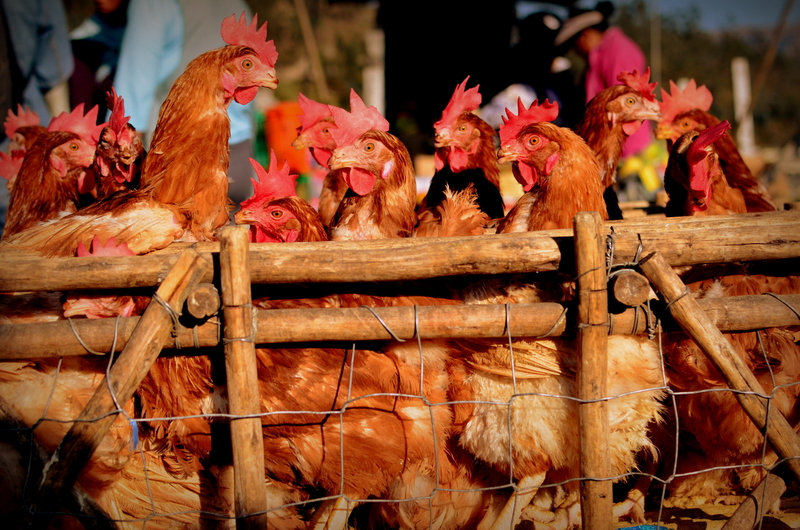 Beginning in the wee hours every Saturday morning, locals bring their best and most promising live animals to the market in hopes of selling theirs within the sea of competition. It was the most foreign experience I’ve had to date. For sale, to the best of my knowledge, were pigs, sheep, goats, chickens, cattle, horses, ducks, guinea pigs, cats, and puppies. 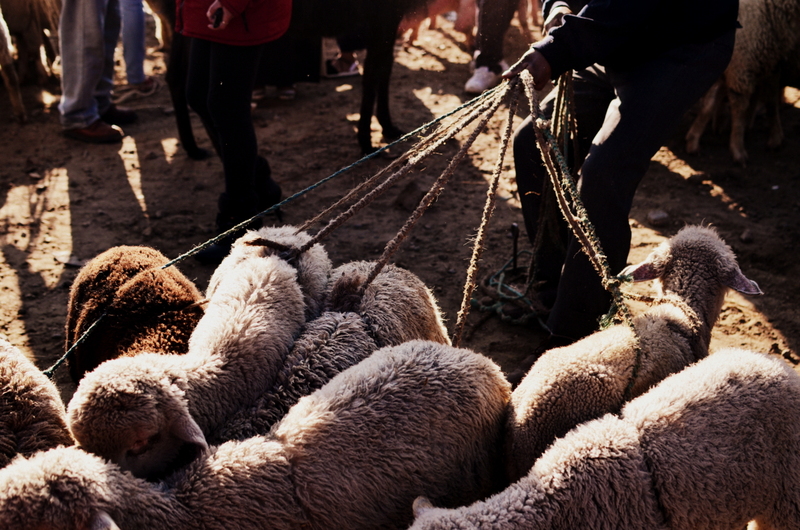 While this tradition may seem cruel to us westerners, this has been a tradition for hundreds of years in this valley. The noises, the sights, the smells, and the discomfort of being rammed by gigantic pigs that are being led through the bustling “standing room only” grounds are those that will remain in my mind forever. It was necessary to keep your eyes on your feet as there was numerous chances for ruining your shoes throughout the “no holds barred” area. I haven’t seen a photo series lately that so completely places me in the scene. The images are powerful and spark a bunch of thoughts and images. 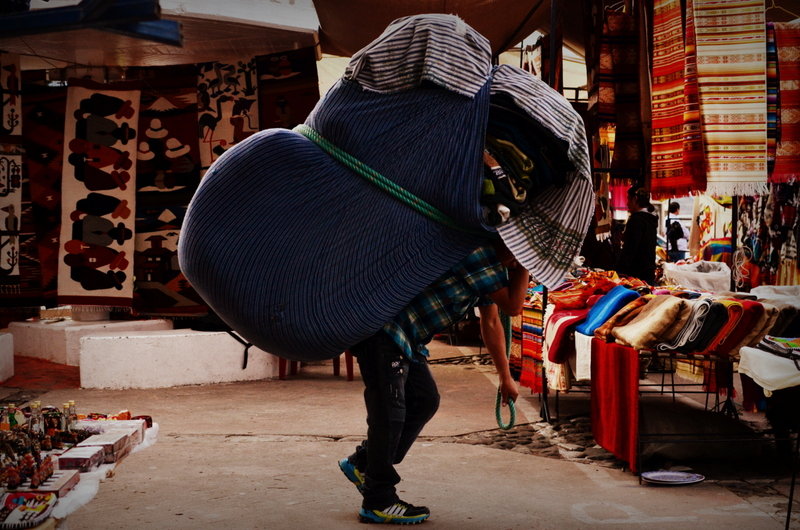 The guy with the bundle on his back for instance, reminds me of so many images of Mexico, Central and South America. Really remarkably good. That is quite a compliment Cindy, thank you very much. With my photography and writing I try and capture the essence of what it is like to be wherever I end up. It’s something that I’ve been working on for a long time, and it makes me happy to hear that I can bring people to places they’ve never been. Thank you for the comment, and check out my blog for more! Trust me, I used taste later in the day. 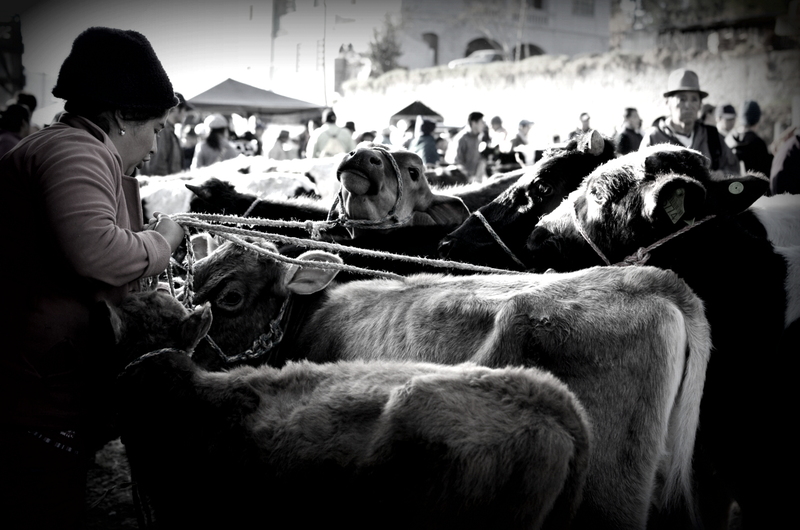 But seriously, we were offered animals for sale, which was amusing and puzzling. 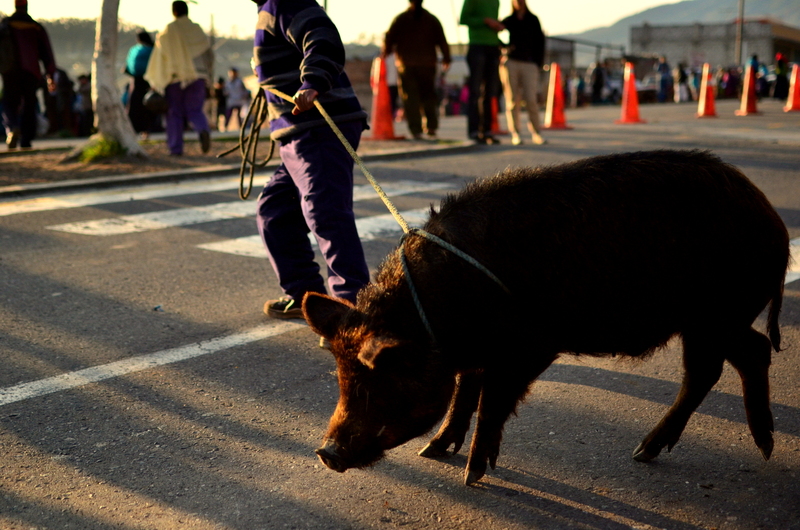 We told the man selling pigs that we didn’t think one would fit in our backpacks. I’ll be writing a much more descriptive and longer piece on this experience when I get all caught up blogging, one day. Thanks for stopping by!